If you were asked to guess who had the best goals-to-minutes ratio in the Bundesliga in 2017/18, you would likely answer correctly: Robert Lewandowski. But who was second in the list behind the Bayern Munich striker? That's right: a certain Ademola Lookman. Not bad for a 20-year-old who only arrived in Germany in January, is it? After playing what was possibly his final game for RB Leipzig on Matchday 34 following his winter loan move from English Premier League side Everton, bundesliga.com takes a look back on his eventful 101-day spell in Ralph Hasenhüttl's side. The very manner of Lookman's arrival hinted there was something special about the London-born attacker, his slight 5'9" frame masking a steely determination to succeed. Eager for more game time after only making 15 Premier League appearances in 2017 at Everton, Leipzig secured his services on transfer deadline day in January 2018 for the second half of the season. However, it was only after a tug-of-war between Lookman and his parent club that the transfer was able to go through. While Lookman himself was eager to move abroad, citing "the Bundesliga's great reputation in England" and sporting director Ralf Rangnick's "powers of persuasion", Everton manager Sam Allardyce had other ideas: “It's one of the most unusual situations I've been in. We got some deals for him but he was adamant he wanted Germany. His stubbornness means he got his own way in the end. I hope he can prove he made the right decision." There seems little doubt now that he did, even if there was another example of Lookman's single-mindedness when he made his Bundesliga debut. Coming off the bench in the 78th minute for his maiden appearance against Borussia Mönchengladbach on Matchday 21, the winger netted the only goal of the game 10 minutes later, lifting Leipzig up to third in the standings. However, it was later revealed he was fortunate to be on the pitch at all due to a footwear malfunction. For superstitious reasons, Lookman had only packed a single pair of football boots when moved to Germany and was determined to wear them during the match. "He was lucky I left him on," Leipzig coach Ralph Hasenhüttl said afterwards. "He was losing his footing a lot. He wore [his boots] in training yesterday and was just sliding all over the place. He was slipping again today and I wanted to take him off just before he scored, but luckily we kept him out there!" The Leipzig tactician evidently saw enough in the No.18 to play him in the club's next four consecutive league assignments, though, starting him three of them. "I like it here, it's good football […] but I need to keep working hard," Lookman said after his first appearance in the starting line-up. He was true to his word and it paid off. Lookman registered an assist on Matchday 24 against Cologne, and on Matchday 30 he came off the bench at half-time and almost immediately rescued a point for his side in a 1-1 draw away to Werder Bremen, skipping past two defenders before rifling a low drive into the net. He gave another demonstration of his ankle-breaking dribbling ability the following weekend, bamboozling Hoffenheim's Nadiem Amiri on the left wing before crossing for Dayot Upamecano to score. Lookman was far from finished, though, firing a brace past a Wolfsburg team fighting for survival on the penultimate day of the season and adding another to his tally in the 6-2 rout of Hertha Berlin on Matchday 34 that secured sixth place and a UEFA Europa League berth. In total Lookman chipped in with five goals and three assists in 11 Bundesliga outings. To put that into context, his minutes-per-goal ratio of 115 was second only to Lewandowski (75 minutes per goal) throughout the entire Bundesliga campaign, bettering the likes of James Rodriguez, Marco Reus and Thomas Müller. All of which makes it no surprise that Leipzig are keen to make his loan move permanent this summer. 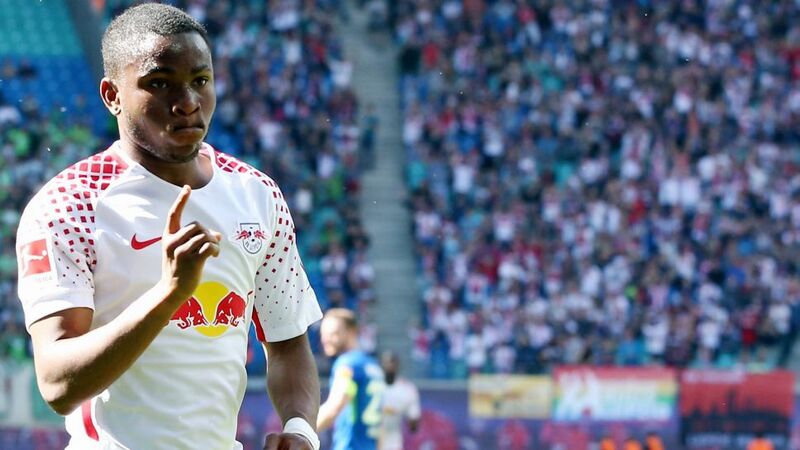 It remains to be seen if an agreement can be reached, but Leipzig fans surely have reason for optimism having already seen that what Lookman wants, he usually gets.